Contemporary Music Festival IŠ ARTI launches ideas contest for new pieces of symphony orchestra and chamber ensemble. 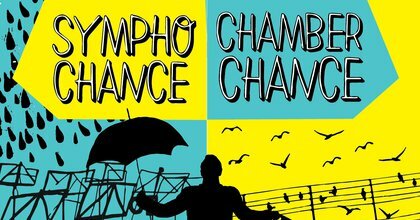 The aim of the contest is to expand the repertoire of symphony and chamber ensembles, to promote the evolution of professional music in different styles and ways. The best ideas will be selected within the competition, the works, created by the composers, will be performed during the International Contemporary Music Festival IŠ ARTI, on November 15-22, 2019 at Kaunas State Philharmonic (Lithuania). 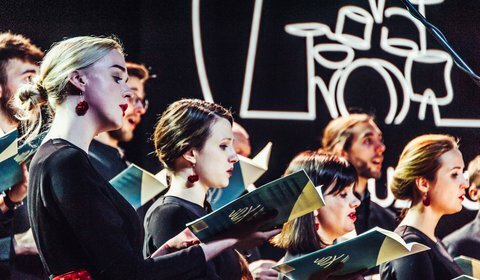 Lithuanian Composers' Union, and Vilnius Municipal Choir “Jauna muzika” invites students of any musical department to take part in the 13th Youngest Composers Competition "Vox juventutis'19". 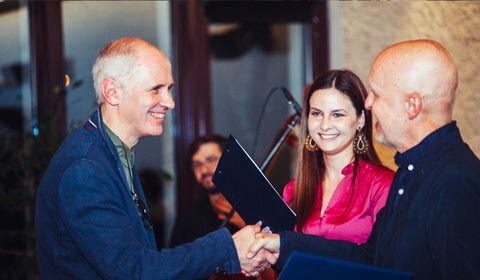 On 20 November, an annual award ceremony to announce the most noteworthy Lithuanian pieces of music from 2017 took place at the Composers’ House in Vilnius. A total of 64 opuses, all of which premiered in 2017, were submitted for the competition to represent different genres of music. The most remarkable works were selected by a jury which included musicologists Beata Baublinskienė, Linas Paulauskis and Rima Povilionienė; composers Teisutis Makačinas and Mārtiņš Viļums; music performers Robertas Beinaris, Rūta Rikterė, Ingrida Rupaitė and Karolis Variakojis; and a musicologist and conductor Donatas Katkus.